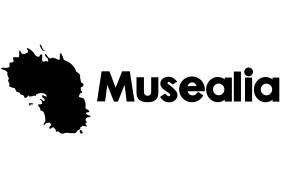 New York, NY – The Museum of Jewish Heritage – A Living Memorial to the Holocaust today announced plans to present the most comprehensive Holocaust exhibition about Auschwitz ever exhibited in North America. Auschwitz. Not long ago. Not far away. 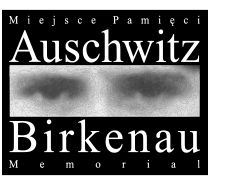 is produced in partnership with the Auschwitz-Birkenau State Museum in Poland and the international exhibition firm Musealia. The groundbreaking exhibition was curated by an international team of experts led by historian Dr. Robert Jan van Pelt. It will open in New York City on May 8, 2019 and run through January 3, 2020. For the first time, 74 years after the liberation of Auschwitz, a traveling exhibition dedicated to the historical significance of the camp will be presented to a U.S. audience. The exhibition’s opening on May 8 marks the anniversary of VE Day or Victory in Europe Day, 1945, when the Allies celebrated Nazi Germany’s surrender of its armed forces and the end of World War II. You can learn more about the exhibition at Auschwitz.nyc. Auschwitz. Not long ago. Not far away. traces the development of Nazi ideology and tells the transformation of Auschwitz from an ordinary Polish town known as Oświęcim to the most significant Nazi site of the Holocaust—at which ca. 1 million Jews, and tens of thousands of others, were murdered. Victims included Polish political prisoners, Sinti and Roma, Soviet POWs, Jehovah’s Witnesses, and those the Nazis deemed “homosexual,” “disabled,” “criminal,” “inferior,” or adversarial in countless other ways. In addition, the exhibition contains artifacts that depict the world of the perpetrators—SS men who created and operated the largest of the German Nazi concentration and extermination camps. Museum of Jewish Heritage Board Vice Chairman George Klein visited the exhibition in Spain and recommended to his Board that they bring it to Lower Manhattan. The exhibition features artifacts and materials—never before seen in North America—on loan from more than 20 institutions and private collections around the world. In addition to the Auschwitz-Birkenau State Museum and the Museum of Jewish Heritage – A Living Memorial to the Holocaust, participating institutions include Yad Vashem in Jerusalem, Anne Frank House in Amsterdam, United States Holocaust Memorial Museum in Washington, Auschwitz Jewish Center in Oświęcim, the Memorial and Museum Sachsenhausen in Oranienburg, and the Wiener Library for the Study of the Holocaust and Genocide in London. “All through the exhibition there are stories—stories about individuals and families, stories about communities and organizations, stories about ideologies that teach people to hate, and responses that reveal compassion and love. There are stories of victims, perpetrators, and bystanders, stories with heroes and villains—stories that all merge into an epic story of a continent marked by war and genocide,” said Dr. Robert Jan van Pelt, Chief Curator, who has published several books on the camp—including the award-winning Auschwitz, 1270 to the Present (1996) and The Case for Auschwitz (2002)—and participated as an expert witness in Deborah Lipstadt’s case against Holocaust denier David Irving.